artlaboratory-berlin.org Nonhuman Agents: Margherita Pevere | Anatomy of an inter-connected system. Starting point of this seminar is the artists research at the junction of visual arts, theoretical inquiry and investigation of biological processes. 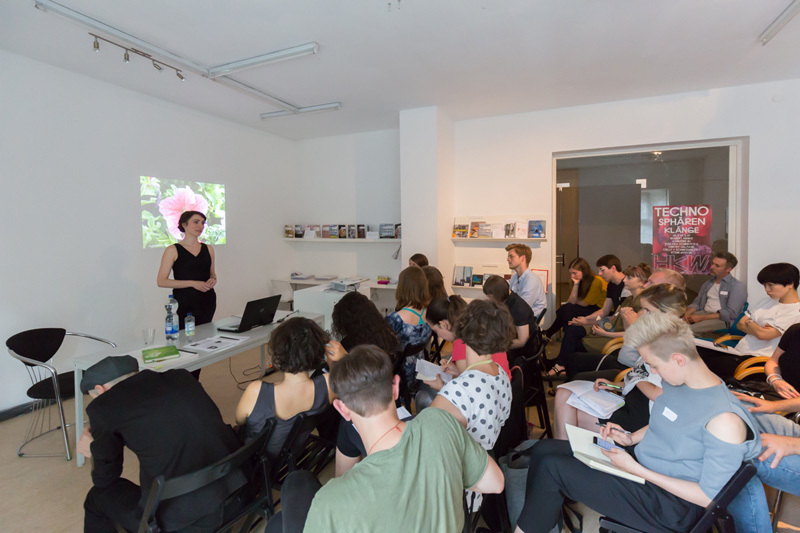 The seminar focuses on the discourses regarding human-nature relationship in the frame of todays environmental crisis and how artistic practices involving living organisms and technology can innovatively contribute to the debate. How can artists problematise the complex interconnection between humans and the biosphere in a hyper-technological era? With what kind of aesthetic and ethical implications? 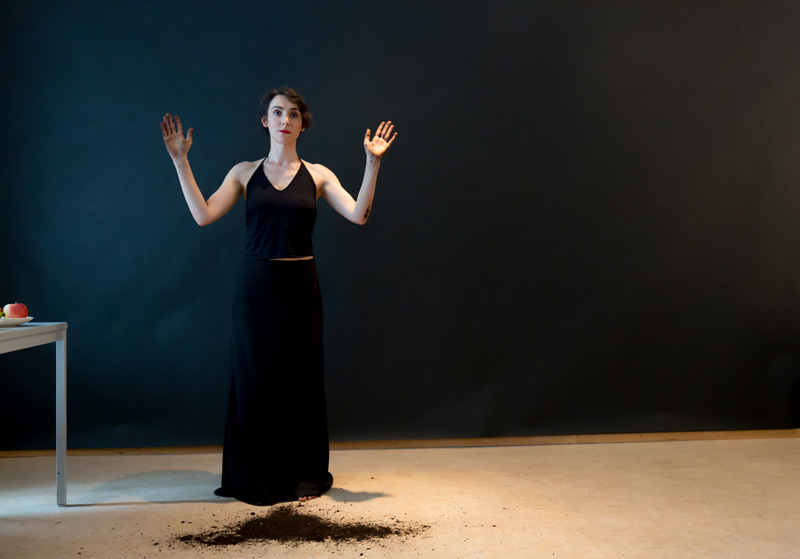 The project aims at engaging the audience in a performative discussion with a visual outcome. The seminar is structured in two parts: a presentation and a participative performance. In the presentation, Pevere introduces key concepts in the history of human relationship towards nature and how these have influenced society, religion and knowledge production. How did humans perceive nature in the Middle Ages? And in the Renaissance? How did this affect society and the arts? What are Anthropocentrism and the Anthropocene? 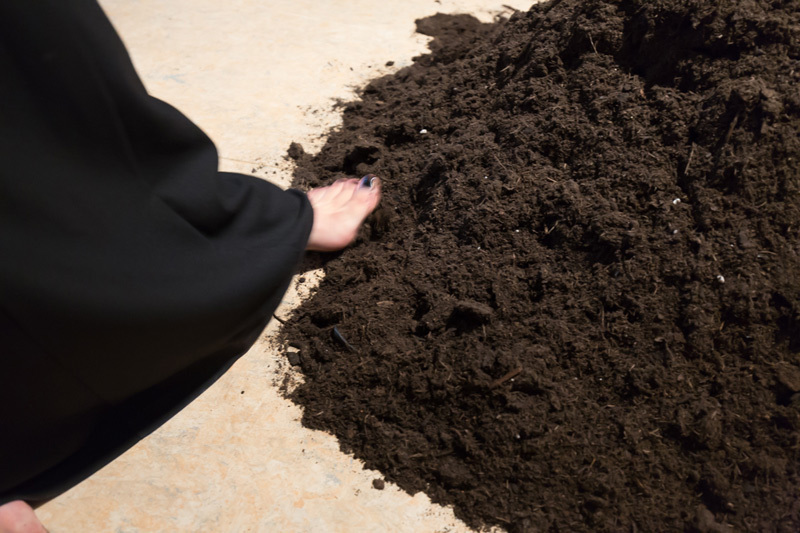 Moving from this theoretical overview, Pevere critically presents her own artistic practice along with a selection of other artists works involving organic matter and technology. 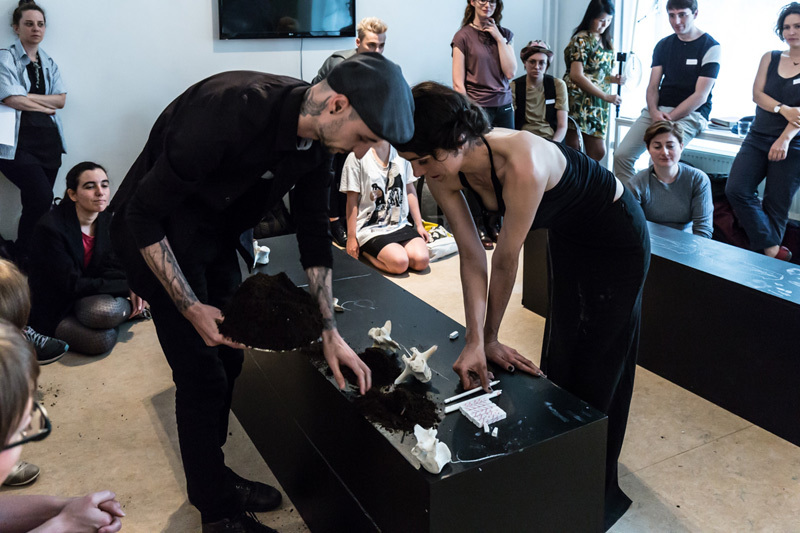 In the participative performance, the artist engages in a discussion with the audience about the themes of anthropocentrism and relationships between human and non-human living beings. Ethical aspects of the presented artistic practices will be addressed. 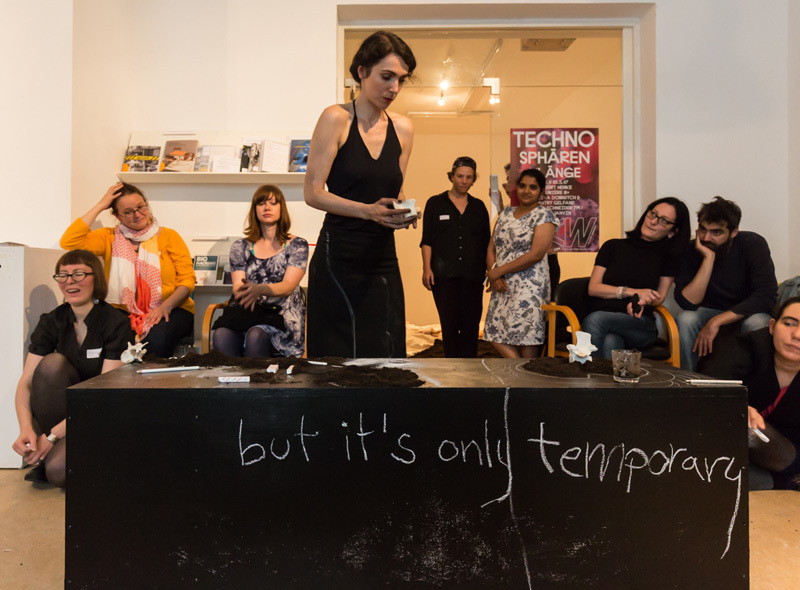 During the discussion-performance, the artist draws and writes notes about the debate on a sheet of paper as large as the gallery wall and invites members of the audience to do the same. 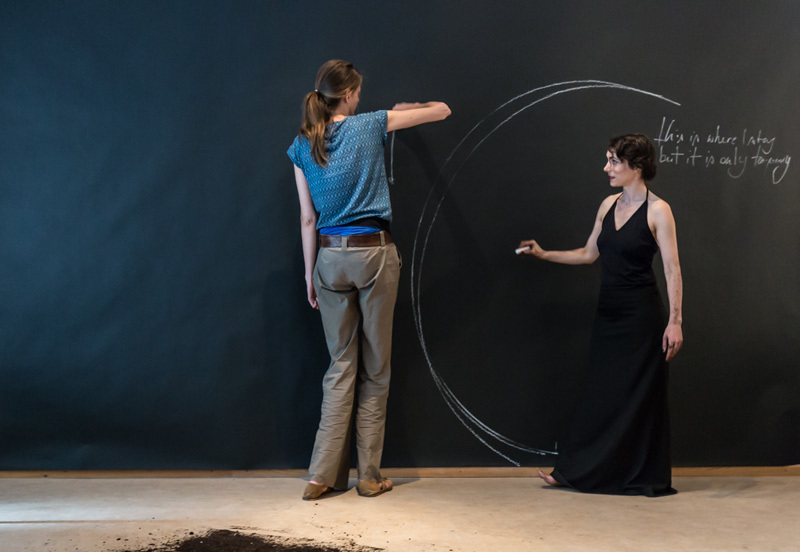 The resulting graffiti will be a visualization of the discussion as well a symbolic map of the interconnections between humans and the biosphere. 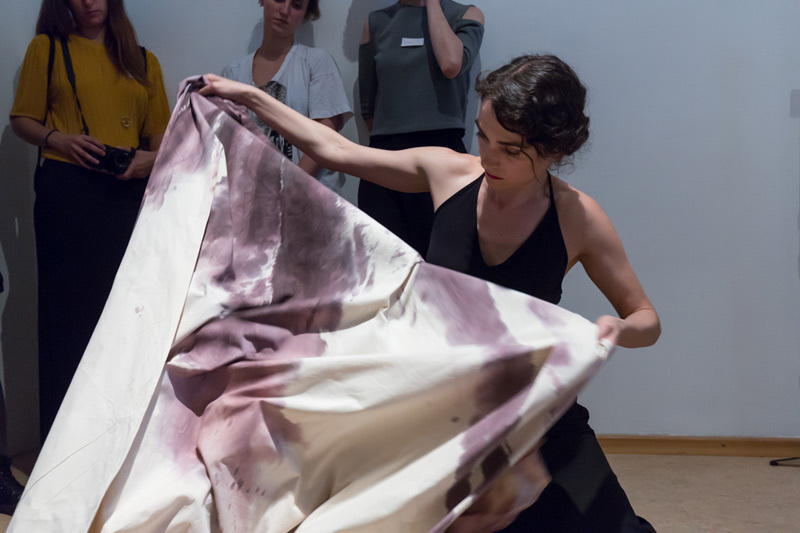 Deeply fascinated by biological processes, Margherita Pevere is a visual artist and researcher investigating decay and transformation of human and non-human matter. Her practice features a unique combination of organic and technological materials: she grows bacterial cultures, manipulates paper and photographic film, collects organic relics, captures ephemeral lights with digital video and plans to store a digitized collection of memories on bacterial genome. Pevere received a Masters at the Berlin University of the Arts and is now a PhD candidate in Artistic Research at Aalto University in Helsinki (FIN). 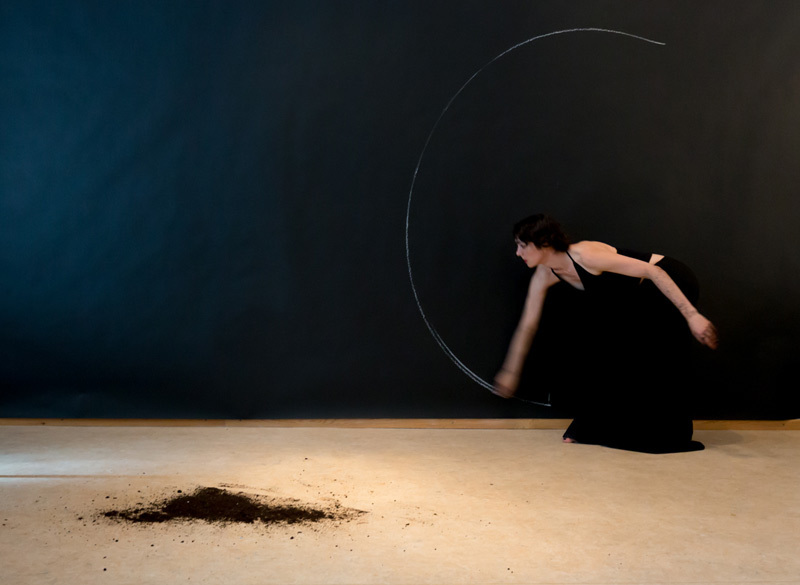 She is member of the Finnish Bioart Society. 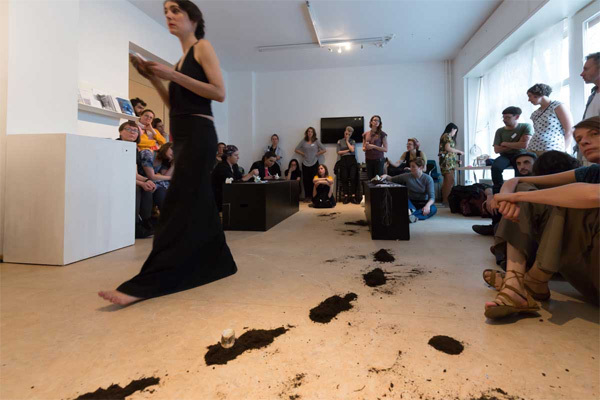 Most recent exhibitions include the Article Biennial  i/o lab, Stavanger (NO) and State Festival, Berlin. 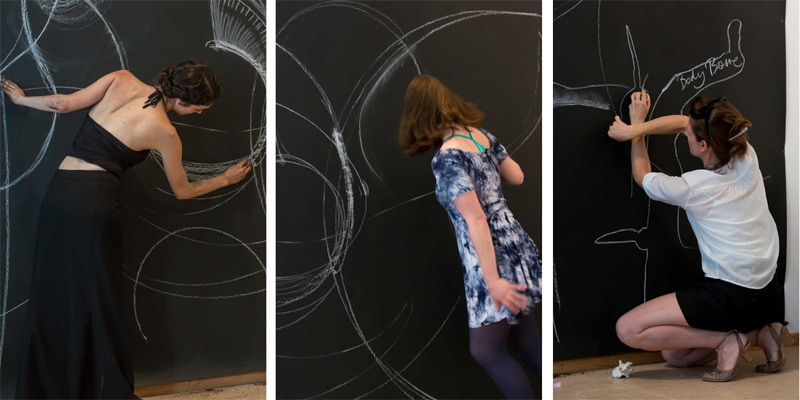 360 degree video of Anatomy of an Inter-connected System by Margherita Pevere, Click, hold, and drag inside the cameo to move the image around.